All skateboards rely on a leaning action to turn but the Lean Skateboard takes it to another level thanks to a multi-link truck that allows the wheels to tilt into the turn. The result is a smoother, more responsive ride. The way you turn on the Lean is almost as smooth as you would on a snowboard but with much more control. The big wheels on the Lean means it can go faster than normal skateboards. 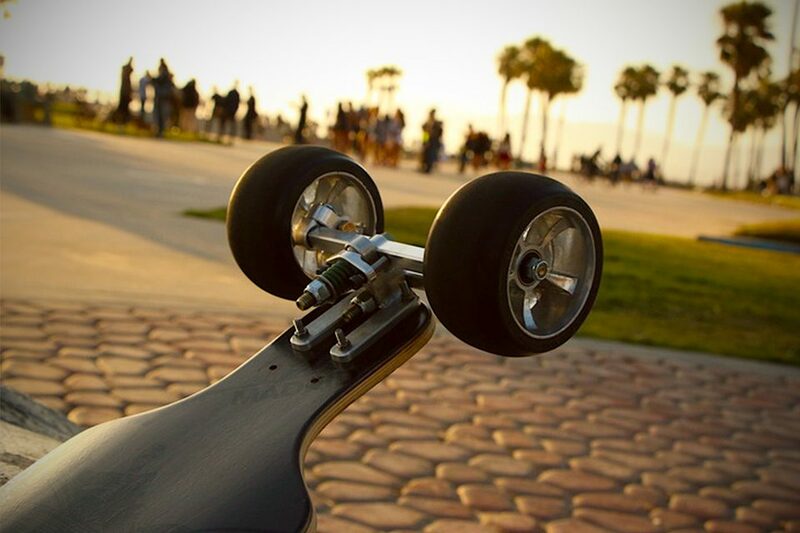 Unlike skateboards that use conventional trucks with big wheels, making a sharp turn can be a problem because it raises the centre of gravity, which risks tipping over when making sharp turns. The Lean trucks can also be used with other boards.